I love reading everything from fantasy to historical romances. On a constant quest for more books to read. 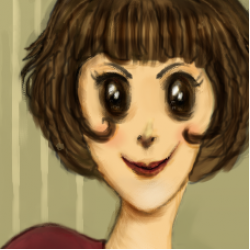 Margo Crestley is an alchemist mixing elixirs in the Dreamless City without a license. When the district crime lord threatens blackmail, Margo pins her hopes on someone she has not seen in four years -- her twin brother Leonard. 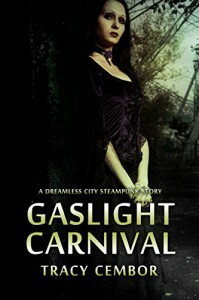 Sold to the traveling Gaslight Carnival by the twins' father, Leonard is treated like property. Margo scrimps and saves to buy his freedom, but the Ringmaster is unwilling to let him go. The young alchemist can only win her brother back if she participates in the capricious Ringmaster's cruel games. Years ago their father sold Margos Twin brother Leonard to the traveling Gaslight Carnival .Now her father is gone and she is left by herself to run the alchemists and trying to save up enough Money to buy her Brothers freedom. Not to mention that thugs from the criminal underworld are threatening her with bad things if she doesnt comply with their demands. Going to the Carnival to meet the ringmaster she is scared by Rook one of the carnies,but who turns out to be a nice person despite his scary hands. This is not a long story and as a result there are some things that could have been elaborated on and explained more than they are.There are some bits that doesnt flow well but again thats probably because its a novella. When it comes to the characters Margo is someone I had no problem understanding. I like that in my female characters even so it came as a bit of a surprise for me when something is revealed about her past that change how I viewed her into grey shades. I really liked Rook,and it was apparent that he had soft spot for Margo and even its not a fullblown romance but the ending had me sigh a bit thinking they would be fine together. A complaint I do have is on the cover,its not bad exactly but if you have read the character description for Margo it will immediately become apparent that she is missing something.